In the year 1947, August 15, While India getting Independence, Tirumurai songs/hymns were sung. most of the people were unaware at present. 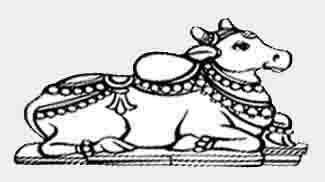 Saiva Siddhantam is the system of Saivism which is the pre-historic lifestyle followed by peoples of kumari(lemuria) continent sunken into sea, it includes present India, indian ocean(Erithirai Kadal). This system is not only logical but also scientific. The basic concepts of Saiva Siddhanta philosophy are already found in the Four Vedas and the Sivagamas have elaborated them further. It was not founded by any particular human and has no particular date of origin. The term is made of a compound word. It is Siddha and Antam. “Siddha means the establishment of truth. “Antam” means the end. So, Siddhantam means end to the ends, an absolute intellectual finality. The term Saiva Siddhantam is found in Kaamigaagamam 119-120. The term is also found in Thirumantiram -1421. 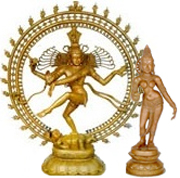 Siddhantam is the systematic way of life in Saivism which is called Saiva Siddhantam. The Saiva Siddhanta is the philosophy of Saiva religion which relates to the established conclusion of the ultimate truth in religious matters.